2015 hasn't been the hottest year for IPOs. A lot of familiar names have made their stock market debuts this year: Etsy (ETSY), GoDaddy (GDDY), Box (BOX). Unfortunately, the fame has been short-lived for most. The stock of online craft retailer Etsy soared 88% on its first day of trading in mid-April. It looked like yet another IPO darling that was following the Dot-com era playbook of a huge initial bounce that would keep climbing. But Etsy's day of reckoning came quickly. Now it ranks among the 10 worst performing stocks of U.S. companies that went public in 2015, according to Renaissance Capital. Etsy currently trades below its IPO price of $16. A company goes public to expand its base of financiers. At the start, public exuberance may outpace business reality of how quickly a business can really grow. When Facebook nosedived in 2012, it served as a reminder that not even the biggest names are immune to the ups and downs of the market. It's a caution to any investor who thinks IPOs are a get rich quick idea. Across the board, this year's promising IPOs have largely fallen short of expectations. However, one of 2015's most anticipated entrants to the stock market managed to keep its head above the water. 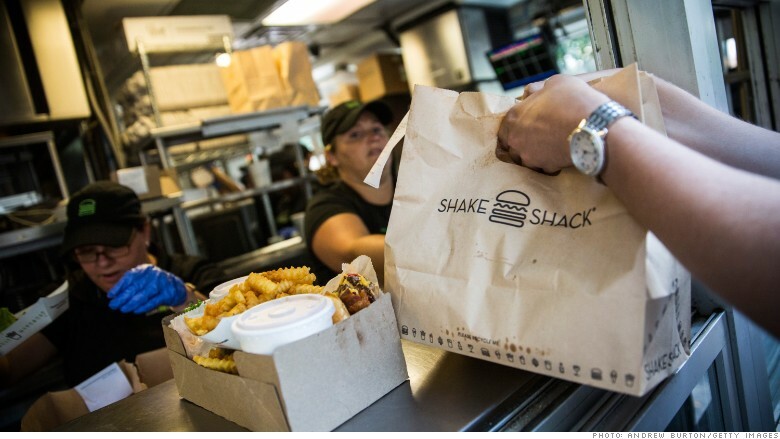 Shake Shack is the top performing "newbie" stock in 2015. Initially offered at $21 a share in late January, Shake Shack's stock is currently trading above $75. Its value has gone up by 267%-- the highest increase amongst this years contenders. The credit for Shake Shack's surge partially goes to McDonald's. The golden arches' turnaround plan failed to impress. In the meantime, Millennials and Gen X-ers keep flocking to the cool burger joint. Health care and biotech stocks round out the rest of the top IPO stock list, although some health names also appear among the stocks that have tanked the most. Analyzing drug pipelines and treatments is difficult, even for experts.